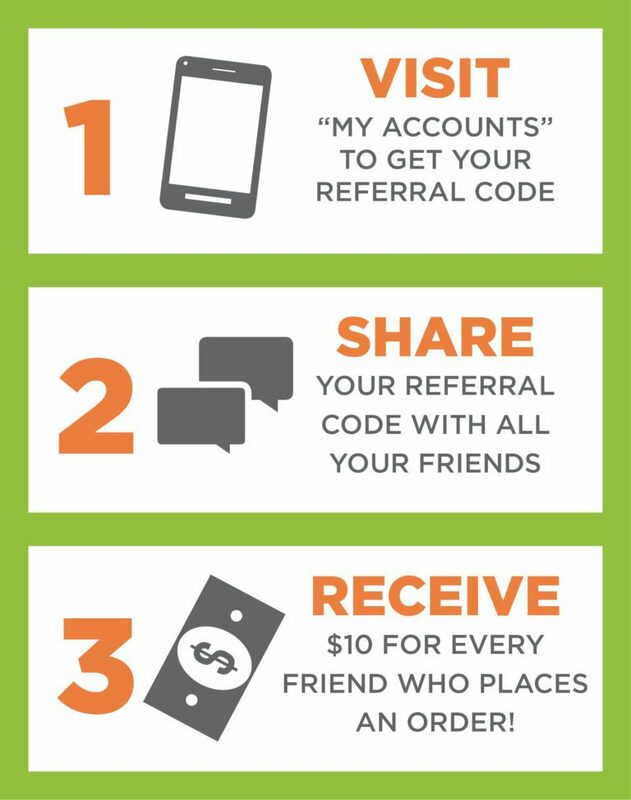 Now you can use your personal referral code to invite friends to use Leppinks Groceries to Go! Every friend who joins gets $10 off their first order of $50 or more. Once their order is placed, YOU get $10 off your next order of $50 or more! How do I get my referral link and code? Visit “My Account” page to access your referral code. Copy and send the code directly to friends. Or copy the link and share via social media or in an email. How does someone use my code or link? A new user (they can not already have a Leppinks Groceries to Go account) can enter your referral code when registering for their account. Or they can use your custom link to register as a new account. How do I get my $10 for referring a new user? After the new user completes their first order, you will see the $10 referral reward in your checkout on your next order of $50 or more. How many people can I refer and how many $10 rewards can I receive? You can invite as many people as you would like. There is no limit on how much you and your friends can save!